Developed, designed and engineered in-house by the Smeg design team, this cooker features a seven-burner gas hob – complete with teppanyaki plate – over two ovens, a separate electric grill and generous storage drawer. Available in gloss black and this panna enamel finish, the Victoria kickstarted both a strong rollout of new Smeg appliances and a trend towards range cookers. The Victoria has two 68-litre multifunction ovens, a 7-hob burner, an enormous grilling drawer and a storage compartment. Victoria Victorious: Place the teppanyaki plate over two burners for high-heat griddling. 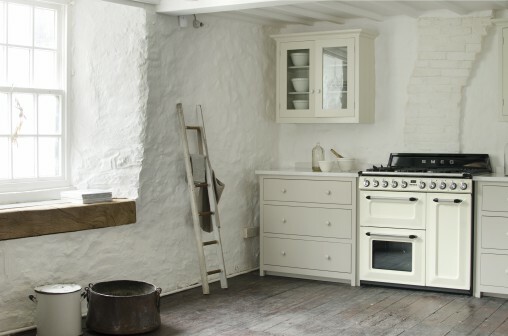 In an update to this range, Smeg has announced that the Victoria is now available in 90-centimetre variations. As you can see from the image below, there is a small compromise on functionality, but this is still a remarkable piece of cookery. 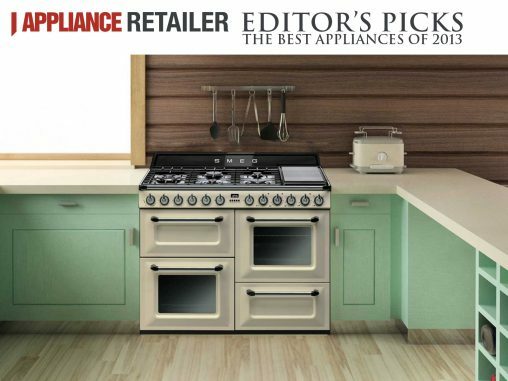 Smeg Victoria (90-centimetre) has two 68-litre ovens, a 41-litre electric grill and six gas burners (RRP $6,490). Image credit: De Vol Kitchens.